Friendships blossom in work places, and that’s exactly what happened for these actors and idols who appeared in movies and dramas together. Take a look and see if your favorite celebrity friends are on this list! Park Hyung Sik, Park Seo Joon, and V share an adorable friendship after meeting in the drama “Hwarang.” Park Seo Joon and Park Hyung Sik often attend V’s concerts while V sends snacks to the actors’ dramas. They upload photos together from time to time, delighting fans with their tight friendship. Start watching their bromance on Hwarang here! These three young actors started their friendship in the trending JTBC drama “SKY Castle.” They are close in age with Kim Bo Ra born in 1995, Kim Dong Hee born in 1999, and Jo Byung Gyu born in 1996, so their friendship continues off set as well. Lee Sung Kyung and Park Shin Hye met in 2016 through the SBS drama “Doctors” and have maintained a close friendship since then. Lee Jong Suk is also close with actor Jung Hae In. The two met as rivals on “While You Were Sleeping” but quickly became good friends who travel together and watch each other’s dramas. Their strong friendship continues to this day, and they express their affection for each other by sending snacks to each other’s dramas. Jung Yu Mi and Yoo Ah In started their friendship through the movie “Skeletons in the Closet” and have done various productions together ever since. They are so close that they once got swirled up in dating rumors. Start watching “You’re Beautiful” now! Song Joong Ki and Yoo Ah In met on the set of “Sungkyunkwan Scandal” and showed explosive bromance chemistry in the drama. They have maintained their friendship for years now, and Yoo Ah In even made a cameo appearance in Song Joong Ki’s drama “Descendants of the Sun” as a cynical bank clerk. Chanyeol and Choi Tae Joon became friends while filming “Missing 9.” Chanyeol once sent a snack cart to Choi Tae Joon’s drama “So I Married an Anti-Fan,” (where Choi Tae Joon plays the same character Chanyeol played in the 2016 Chinese film of the same name), and the two of them were spotted cheering for Zico at his first solo concert. Of course, when you talk about celebrity friendships, you can’t leave out Yoo Yeon Seok, Baro, and Son Ho Jun! The three of them have been friends since filming “Reply 1994” back in 2013. 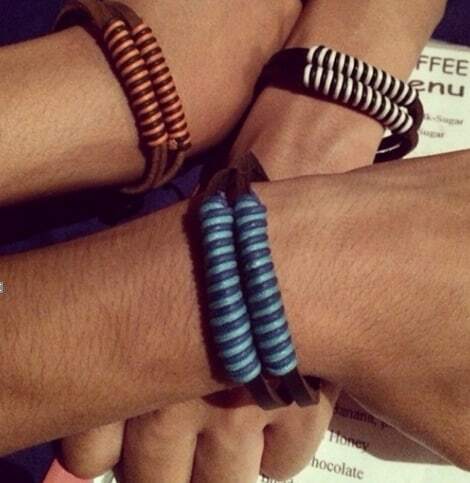 They went to Laos together for “Youth Over Flowers” where they obtained meaningful friendship bracelets. Currently, Yoo Yeon Seok and Son Ho Jun are participating in tvN’s “Coffee Friends,” and Baro is set to make a guest appearance soon.